Council Member Margaret Chin has set up a simple choice for Mayor Bill de Blasio: Which is the higher priority, affordable housing or cheap parking? According to an analysis by the City Council’s land use division, it could accommodate 89 housing units under current zoning. Chin’s request comes two months after de Blasio released his affordable housing plan, which singled out municipal parking lots as a type of city-owned property ripe for affordable housing development. The Department of Housing Preservation and Development is charged with coming up with a list of suitable city-owned properties. Last month, an HPD spokesperson said the effort was in the early stages and it was still reaching out to other agencies. The department offered a similar line today. After an event in May, I asked Trottenberg whether DOT would get out of the parking lot business to help the mayor achieve the his affordable housing goals. “It’s too soon to say,” she said. “I can’t pre-judge that now.” Trottenberg would only say that DOT is “ready to do whatever we can to help,” including creating an inventory of its developable properties. DOT has not replied to questions today about Chin’s proposal to redevelop the Ludlow Street garage, but did tell the Journal that it “serves a significant community need for parking” and is undergoing a $5.8 million renovation. The garage is is one of 39 DOT-managed garages and lots, accounting for more than 8,100 spaces citywide. Many of those municipal lots offer cheap parking well below the going rate. The Ludlow Street garage, for example, charges $4.50 for the first hour and $2 for each additional hour. Nearby garages start at $10 for the first hour. Which will the city subsidize: car storage or housing? The decision on the Lower East Side should be an easy one, but it’s been overlooked before, by the Bloomberg administration, and de Blasio could repeat that mistake. The garage site was originally included in EDC’s Seward Park development plan, which is set to bring 1,000 new housing units, half designated as permanently affordable, to long-fallow lots in the area. But in 2012, the Bloomberg administration redrew the project’s boundaries to exclude the site and its 356 parking spaces. The Seward Park project already included 500 parking spaces, more than what would have been allowed if the neighborhood’s zoning rules had applied to the site. During the Bloomberg administration, EDC and the Department of City Planning tended to pile on the parking, often in an effort to mollify potential critics of new development. So far, de Blasio and his deputies have not shown much interest in shifting that approach. Chin’s request offers one opportunity to change course. This post has been updated with a response from HPD. And who is it that gets these discounted spaces? If the city has extra land laying around that they don’t have the plans drawn up for its use yet, it is not a horrible idea to TEMPORARILY use it as a parking resource, but they should charge market rate and be developed as soon as the plans are ready. We can use that space for affordable housing, or for schools, or for parks. There are enough private garages around, that if you don’t want to park on the street, you can find a spot. And the city doesn’t have to subsidize those spots for people who don’t need them. Wow. Kudos to WSJ reporter Laura Kusisto for this jawdropping quote. This is a great idea. I just hope the make the outdoor area into parkland instead of useless lawns. If drivers don’t want to pay market rates to store their luxury transportation, then they can take the train like the rest of us. Outside of the core, maybe. But does this type of facility really make sense in the Lower East Side? And who does Margaret Chin see as a top candidate to develop affordable housing on Ludlow? Maybe Asian Americans for Equality — the organization she used to work for? (And, after this term in office, maybe the organization she goes back to). Politicians always have a hidden agenda. If the percent of kids in the LES who would like to learn how to bike in traffic is similar to that of kids in non-core neighborhoods, then yes. The city is spending $16,292 per parking space to renovate the garage? Even so, it doesn’t make it a bad idea to turn subsidized parking into affordable housing. First of all, GREAT IDEA. Second, make it MICRO HOUSING. We are ignoring that there is an awesome, market-driven solution to create affordable units — not through subsidies, but through the market — developers and even citizens building smaller and therefore much more affordable units. Seattle is exploding with them — and people love them. You have a micro-unit studio with a full kitchen and hang-out area on your floor to watch a show, cook a big meal with friends, and bond with neighbors. The price? $800 a month and under. Liberals tend to be enamored with the government spending money to help (I am a liberal and I agree – especially health care). But we all know the tragedy of housing projects — just watch The Wire. The government doesn’t have the steadiness and decades-long commitment to keep buildings up. But the market DOES. If landlords need to rent their units they will keep them up and make them desirable. The best thing this administration could do is to PRE-ZONE lots for micro-housing units. A small lot in Seattle that housed a dilapidated single-family home housed 64 micro-units. NYC is the place for this — because everyone agrees you do NOT need a car. By pre-zoning lots, small investors and builders and non-profits can jump into the game. Why are developers the only people doing affordable housing? Let everyone get into the game! 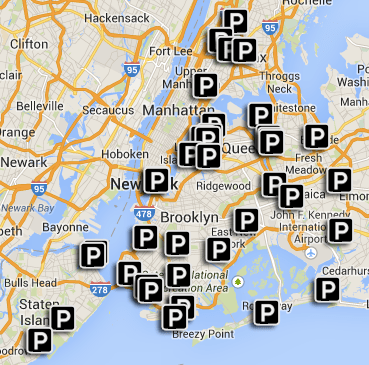 Will Michael Schlein Stop NYC EDC From Subsidizing Parking?